Fru-Gal.org: Glidden: Free Quart of Paint! 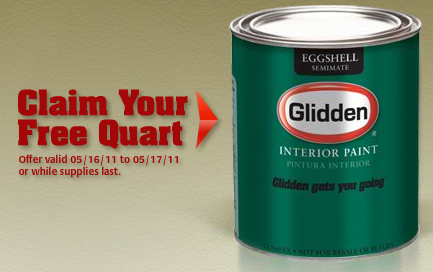 Glidden: Free Quart of Paint! I just ordered myself a free quart of Glidden paint! 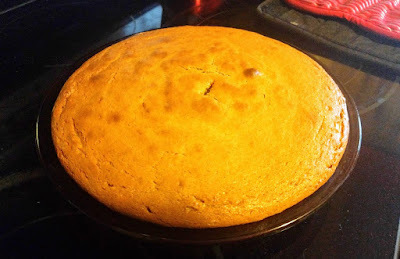 Perfect for the many projects I have in mind for our new home that we're currently closing on! This offer is valid today and tomorrow, 5/16 - 5/17, to the first 200,000 sign ups! Also, Glidden paint is available at Wal Mart and Home Depot, among other stores, so if you end up needing more than a quart for a project, you should be able to easily access more.